Mental Health crisis can affect any one of us. The HRCSB provides mental health emergency support around the clock every day of the year to anyone in the Harrisonburg City and Rockingham County community. If you or someone you know is experiencing a mental health emergency there is support available. Our emergency phone number connects you immediately to someone who can help. Individuals do not need to be an existing client to use the emergency mental health line. Connect to Resources – Our trained crisis response team discerns immediate needs and makes referrals or gives information in response to the situation. Hospitalization – HRCSB is the designated state provider for triage as the entry point to the involuntary treatment of mental health issues. Children’s Mobile Crisis – During business hours, we provide community-based crisis intervention for children up to the age of 18 with mental health emergency and individuals with developmental disabilities who are experiencing a behavioral crisis. We can provide ongoing services for up to 30 days following the initial point of contact. The Children’s Mobile Crisis unit is available to Rockingham County and Harrisonburg residents. Sentara RMH Assessment Center – A Crisis and Intervention Team Assessment Center, also known as CITAC, is a partnership between local law enforcement, Sentara RMH and HRCSB to provide a safe environment for assessing involuntary behavioral health hospitalization. Trained law enforcement officers work with a trained clinician at the ER along with a peer-support provider to manage the issue most effectively while preserving the dignity of the individual. We are here to help you find the right services at the right time. 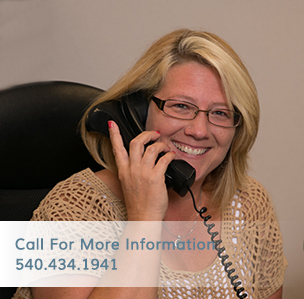 Our emergency line is your first step toward the help you deserve.